This special issue explores how gender interacts with different forms of fascist culture and how, conversely, cultural representations in fascist societies highlight new dimensions of gender and sexuality. The featured essays argue that different fascist movements and regimes use both cultural representations and gender relations to shape new political identities. Contributors include Mark Antliff, Andrew Hewitt, Ara H. Merjian, Luisa Passerini, Todd S. Presner, Jeffrey T. Schnapp, and Barbara Spackman. 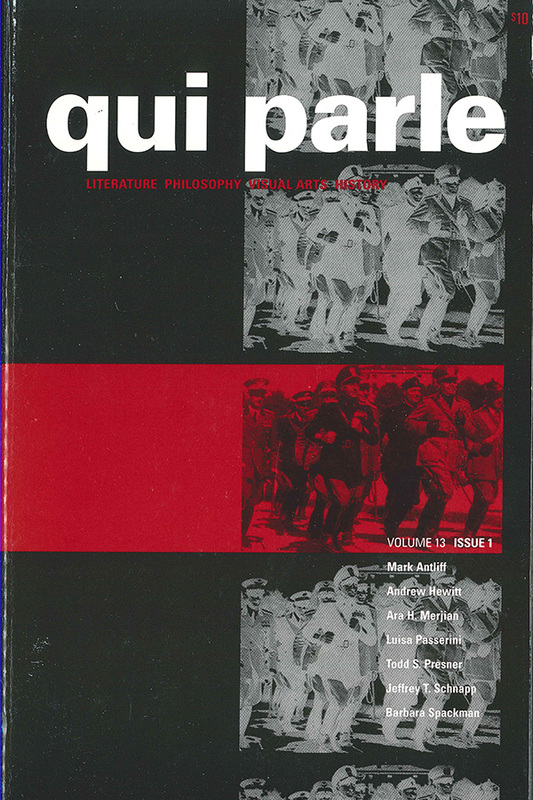 View the table of contents for Qui Parle 13:1, at the journal's online site.